This silver bracelet is made with 4 mm diameter onyx pearls. 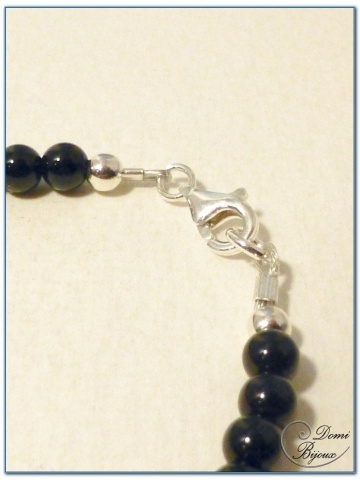 This onyx pearls are mounted on a steel sheathed cable. Two silver925 pearls and a silver925 clasp complete this assembly. 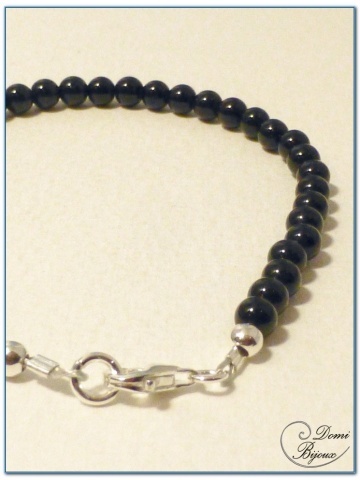 Like all the metal elements of this bracelet are in silver925, there is no risk of allergie. 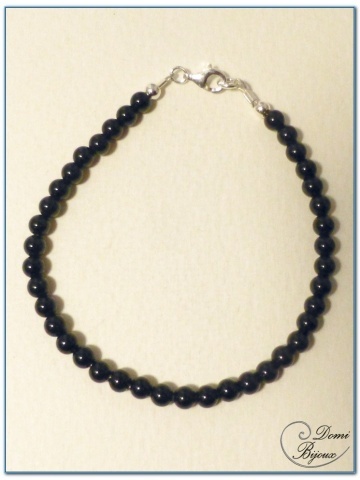 You will receive this silver bracelet in a cloth pouch closed by a link to store it carefully when you don't wear.